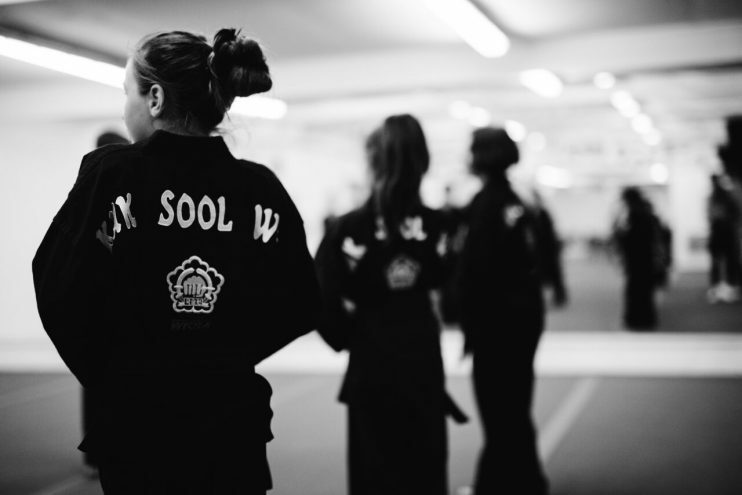 Kuk Sool Won™ is the systematic study of all Korean traditional martial arts and as a martial arts system it can help to improve fitness, confidence and concentration, relieve stress, and teach self-defence, all of which are so important in modern times. School Owner James Barker is a 5th Degree Master Black Belt, practising in the art since 1992, and is also a fully qualified Secondary School Teacher, as is his wife Vicki, who has been training since 2007. We teach classes every day of the week at our full-time premises in Claygate, as well as on Wednesday evenings in Bookham. We offer FREE taster sessions every day for all ages and abilities, from complete beginners to those with previous martial arts experience. Book your FREE taster session HERE today to have a go for yourself and join our Kuk Sool Won family. Our Junior Classes are for all children aged 12 and under and are uniquely divided by age and ability; they run every weekday. All of our junior classes teach more than just martial arts. They teach how to become good citizens and to be prepared for life. These skills will help the students become well-rounded by contributing to the child’s social, emotional, physical and intellectual growth. 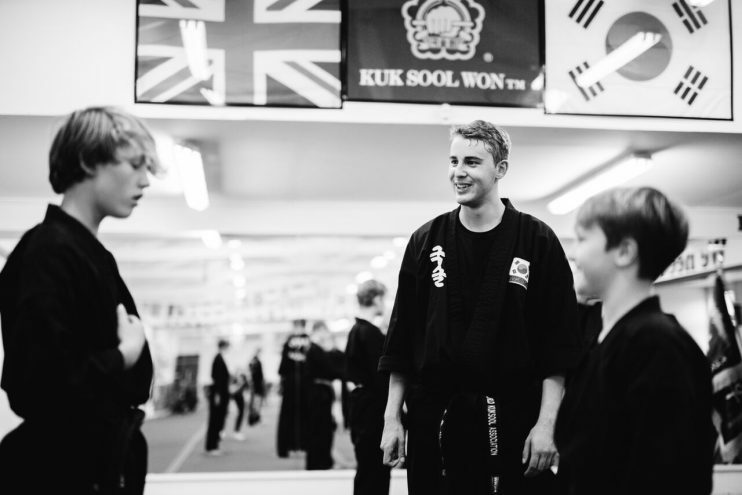 We feel very strongly about the benefits of Kuk Sool Won™ for young people and believe that with the support of parents these benefits can be achieved by every junior student. Whilst achieving all these aims your child will also have fun taking part in high-energy classes and along the way will make lots of new friends that will last a lifetime. We are a family orientated club and we warmly welcome new students into the Kuk Sool Won™ family which has been developed both here at our club, and world wide. 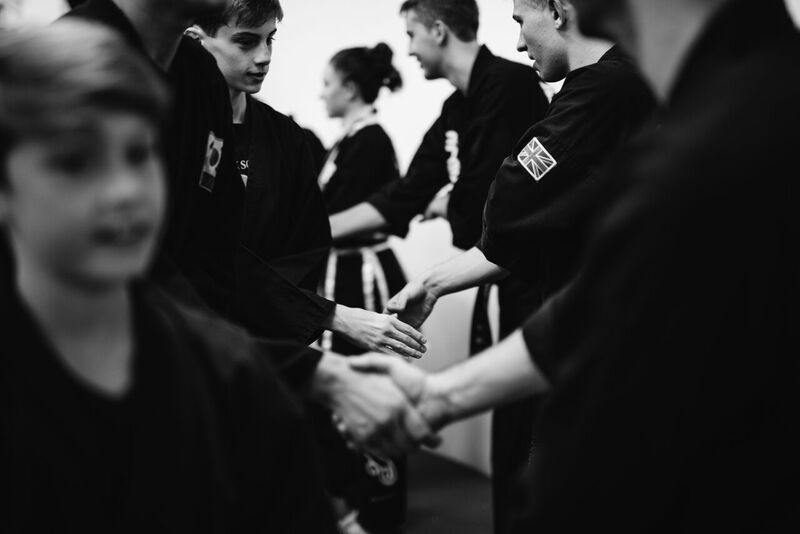 Our club has developed around a strong family centred ethos, and as such, we believe in giving all members of the family the opportunity to train and develop both as an individual, and also within their own family and the Kuk Sool Won™ family too. Our extensive timetable, which runs 7 days a week, allows plenty of time for individuals of any age to come along and train. However, we also run specific weekend classes in which all members of a family can come and train together. These classes provide a unique opportunity for parents and children (along with any other members of a family) to share in their passion and hobby, and train alongside each other on the mats. Our Youth/Adult Classes are for all teenagers and adults and are divided by ability; they run every weekday. We will guide you every step of the way to give you the ultimate experience in martial arts training whether you are a complete beginner with no previous experience or an advanced level martial artist. We aim to provide our youth and adult students with a progressive and encouraging environment to improve their mental, physical and emotional conditioning. Our step-by-step approach to learning allows students to enjoy constant progress, growth and change. Many students find themselves more relaxed and calmer in dealing with some of life’s challenges. Our youth and adult training program can add a new exciting dimension to people’s lives. It is good for the mind, body and spirit to learn new skills and to live a healthy lifestyle, which is challenging, rewarding and lots of fun. "Practicing Kuk Sool Won™ has been more than just a journey of physical development, it has helped to develop self-confidence, discipline, and best of all a place to meet some amazing new friends!" "PKJN James, as our instructor in the art of Kuk Sool Won™, has taught and inspired myself and my 2 children from starting out as white belt students to the proud achievement of being promoted to 1st dahn black belts in 2010. 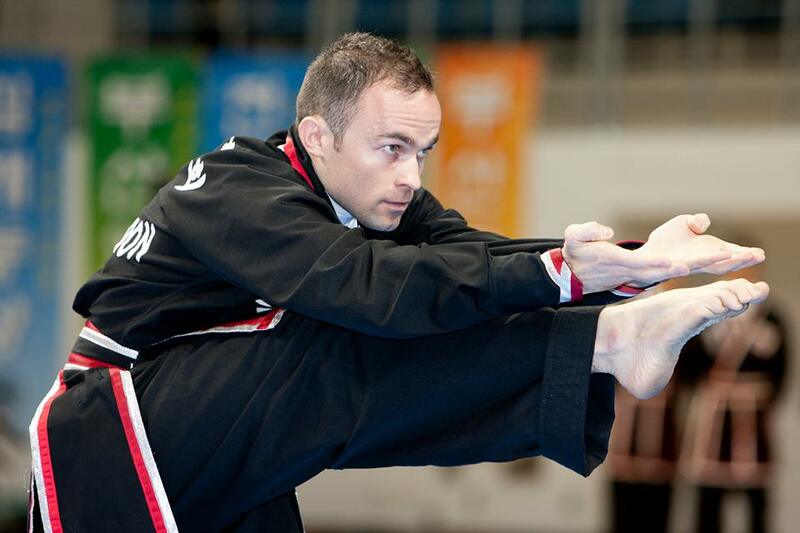 Throughout that time PKJN has been a beacon of excellence, both as a teacher and as a martial artist, and has set standards of etiquette and attitude to which all of his students should attempt to aspire. To say Kuk Sool Won™ has transformed my life and the dynamic of our family life is an under-statement." 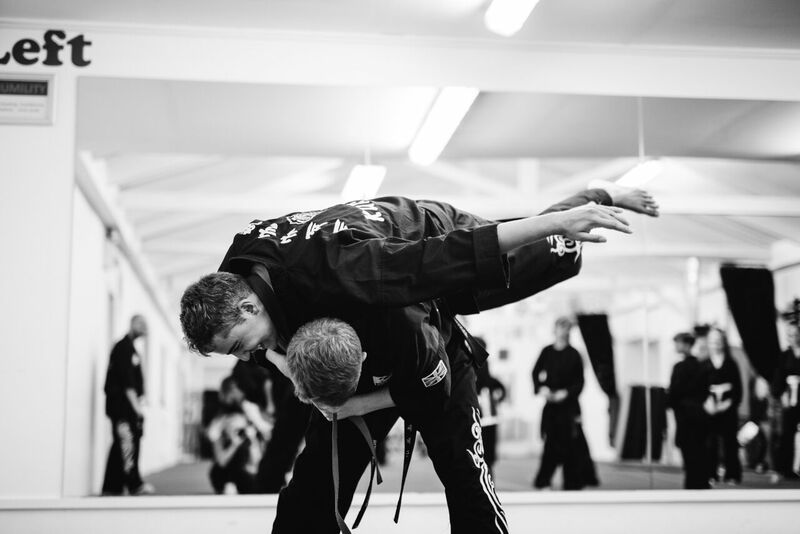 Claygate Martial Arts Centre is a full time family-run Kuk Sool Won Dojahng in Claygate, Surrey. We teach all ages and abilities every day of the week. We pride ourselves in our modern teaching styles, with the main aim of developing individuals as martial artists and people. Please contact Master James on 07973 173892 or james@kswclaygate.co.uk if you are inspired to have a go yourself. You can book your FREE taster session HERE. Good luck in your journey to Black Belt and beyond – enjoy the adventure!